No matter the weather a stroll outside is good for inspiration! I have been hunting through a lot of fabric lately, designing new fabric patterns and looking for some pretty patterns for making my own crib sheets, gathering inspiration from coloured pencils, ribbons, hearts and playing with different shapes cut from scraps of textiles. I like working with different materials sometimes, getting away from purely drawing or digital work, gives a different perspective sometimes and it’s fun! Why a break from the internet can be a good thing! It’s been just over a year since I started this adventure into patterns and blogging. I’ve learned a lot, met new friends and forged new licensing deals. But the last month things all started to come together all at once, both personal and in my working life, so much so that blogging had to wait till I could find the time between whirlwinds to stop and reflect on all the things that have taken place! They say a picture is worth a thousand words so here is my journey from the last few weeks. We travelled through Germany, France, Belgium and England, up to Scotland. Celebrated with family and friends, from the oldest to the youngest! The day we returned to Germany, we travelled a further 300 miles and moved across country down to the amazing Munich! From the centre of town we have everything at our fingertips, from the famous landmarks and sights to the shopping and eating! One of my favourite places is the Viktualienmarkt, a minutes walk and I am in plant heaven, not mention the food and beer and wonderful Bavarian folk! Take a drive for 30 minutes and there are a world of mountains and lakes to explore and amazing castles! I have more photos to share with lots of doodles from the sketch book and ideas on how to create patterns and colour boards from photos! Which leads me back to work. When I decided to take a break from working such long hours, I was very unsure if it was the right thing to do or not, the timing didn’t feel right as I believed I had to keep up the momentum I had established. I also enjoy my work and wondered how I would feel not creating everyday! But other things needed my attention so I pressed pause for a while! So if you are ever thinking should I take a break for a while I highly recommend it, perhaps not to fit in so many things but to recharge the batteries, think without thought and relax a while! I love pattern design and I love Pinterest (If you are interested in patterns, colours collections and trends I have a large collection of boards over at Pinterest that I fill weekly) but what happens when you combine the two – you get a FANTASTIC PIN HOP!! It officially starts on the 15th of June and features over 40 fantastic pattern designers with some brand new exclusive designs! We each choose a theme from 4 concepts – urban metropolis, midnight garden, historical adornment and optical day! It was a hard choice but in the end I selected midnight garden, a collection of night flowers, moths and dark leaves in a palette of midnight blues of course, silver moon and a pop of red! The pin hop is organised by Tina Olsson / FYLLAYTA and to see all of the patterns be sure to “hop” over to the Pin Hop June 2013 pinterest board. If you prefer a more traditional blog hop you can drop by Mary Tanana / Groovity who always has super designs and do check out her brand new Modern Yardage fabric!!! Celebrating a new collection – Happily Ever After! 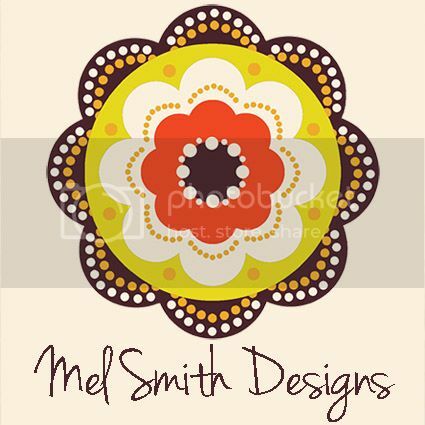 Pretty floral patterns and designs that will be available on stationery, cards and prints soon! Following the theme and the reason the blog has been a bit quiet over the past week is because we have another celebration, our wedding day is next week – our own little happily ever after! Wish us luck! Shout Out Sunday – Learn new skills and find new designers! A new weekly post – Shout Out Sunday! A (polite) yell to all the new ideas, designs and designers, incredible courses and websites that I have stumbled upon over the week! First up Learning new skills: It is never too late to learn nor can you ever learn to much. I like to think I know Photoshop and illustrator inside out but that is far from the truth, there are always different ways of looking at things, new skills to acquire, fun ways of painting that I have never explored, experimenting with different techniques. Learning boosts creativity, injects new life into your work and ups your skills, a win win situation and with the two new courses below taught by incredibly talented designers (at a price that is not gonna break the bank!) how can you not sign up!! Typography is everywhere and is so on trend in many areas of surface pattern design and graphic design. In the Art of Typography Faye Brown will take you on a journey through typefaces and how to use them effectively. Full information and course outline. It’s a bargain at only $20 but by using the extra special discount code – PPFRIEND take an extra 25% dscount!!! The next course teaches an invaluable skill – creating perfect repeat patterns in illustrator! This class packs a lot in, designer MaJo will show how to use the basic Illustrator tools to bring to life your ideas. You’ll learn how to create different types of repeats, how to get your hand-drawn sketches vectorised (even if you don’t own a scanner), how to apply colour and then easily re-colour your design to create new colour ways. Lastly I want to shout out a really special directory, The Little White Book of Surface Pattern Designers, not least because I am in it, but because I share the space with many talented designers and it is the first FIRST surface pattern designer directory (live since January 2013) showcasing some of the best new FIRST surface patten designers, if you are searching for a creative to take your next project forward then why not flick through and share, we are all incredibly talented and the directory is already attracting major clients, with the second edition in the planning only good things can happen if you take a peek! Been a few days since I could post any designs on the blog, work behind the scenes continues with new collections set in various directions which is fantastic news but none that I can share at the moment. What I can share is my bird and leaf prints, summer came and went, then came again and then disappeared with the storm so I drew a few little birds with what looks like scarves and a bunch of leaves and petals that fluttered about in the winds! Hope you have more days of sun than we have, although I have to admit to liking the warm rain! Not picnic weather but great for a stroll! Where the wild roses grow, beyond the painted trellis and out into the patterned fields, fly the swallows!